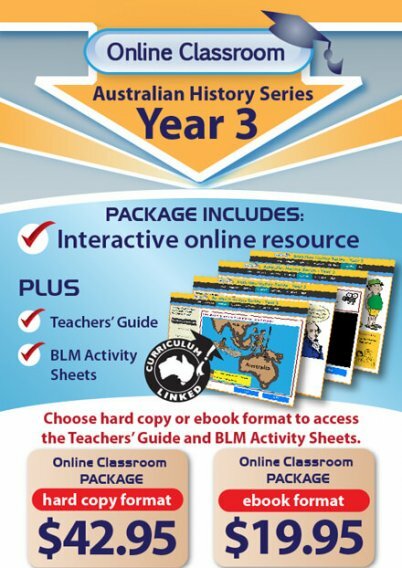 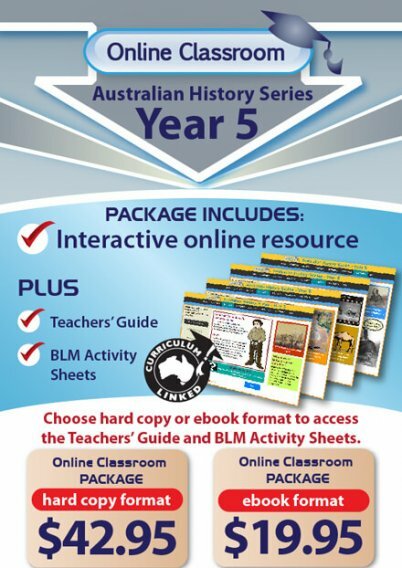 Online Classroom: Australian History is a curriculum-linked teaching package which includes a digital resource and an A4 hard copy book, or digital ebook. 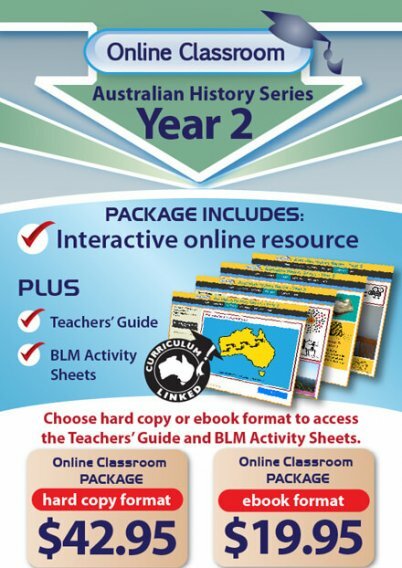 The online digital resource will visually engage your students through interactive and stimulating graphics, videos and picture galleries. 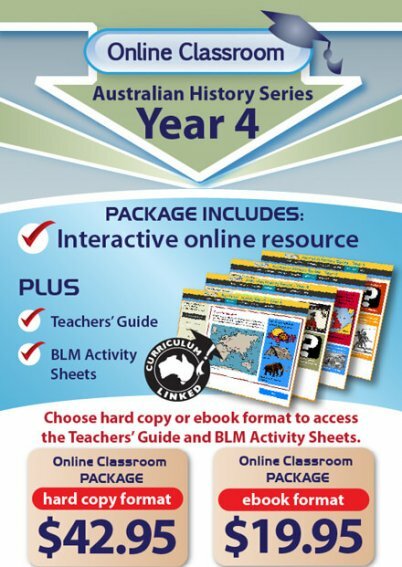 The hard copy book, or ebook, provides step-by-step instructions to using your digital resource. 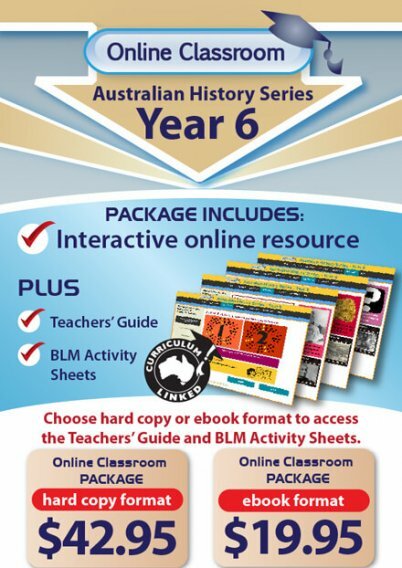 There are six Online Classroom: Australian History packages to choose from.